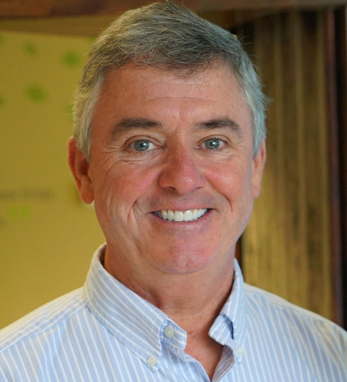 Paul Hanlon is president of BlueHive, Continental Woodcraft, and Paris Marketing, a trio of strategic marketing solutions firms. Paul was born in Concord, Massachusetts. At the age of 17, he was fired from his job in a candle factory and decided that in the future, he would be his own boss. “In order to be successful, you must first be able to manage your own emotions,” he explains. “This means, I always put my people first, our vendors second, and our clients third.” His philosophy is if you have the best people and the best vendors, then the clients receive the best service. A third-generation Irish American with paternal roots in County Armagh, Paul has done extensive research into his family name. He discovered that his great-great grandfather, William O’Hanlon, immigrated to New England in the mid-1800s, and his son, Albert, a successful pig-farmer, eliminated the “O” from the family’s name to make business signs less expensive. Paul is married to Cynthia, and has two children, Caitlyn and Michael. He lives in Florida.